Thanks for bearing with me :). I sit in front of a computer all day at work so the sight of my laptop at the end of the day kind of disgusts me. I'll try my best to get on here more often... I owe it to you readers. These photos have been sitting on my computer for a little while but they should still be inspiring since I took them at the end of June and there's still time to enjoy the summer bounty! 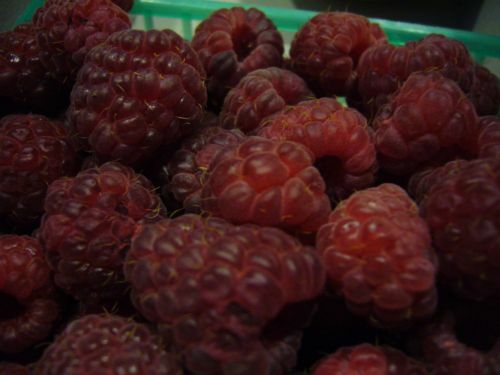 The first time I heard of Chino Farms was when I visited Mille Fleurs. The name was tossed around so much I got sick of hearing it but the meal was incredible so I decided I'd visit the farm to pick up some produce myself. Lucky for me... the farm is just a hop, skip and a jump away. 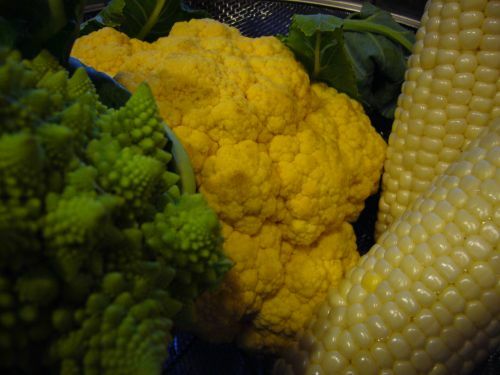 Green Romanesque cauliflower, yellow cauliflower and some white and yellow ears of corn. 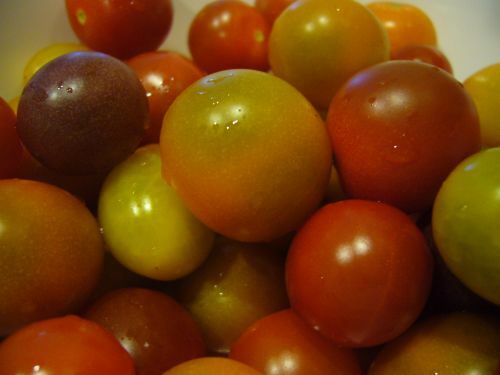 A basket of multi colored cherry tomatoes. 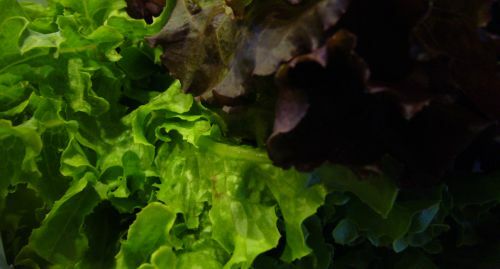 Green and red leaf lettuce. 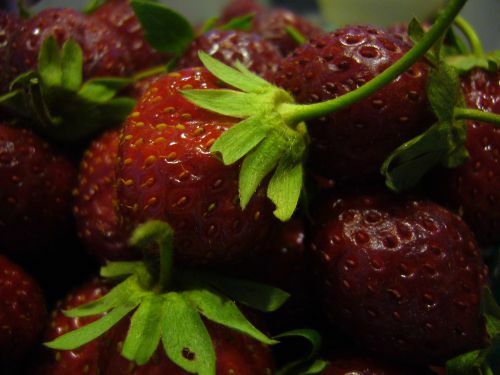 A basket of French strawberries. Sorry no photos of the meal created with this catch but you can use your imagination :). Please visit to see a feast for the eyes yourself. I really like Chino Farms and thir produce but as far as I know their are not certified organic. Oh really? I've heard that much of their produce was organic from a lot of people so I assumed it was. Thanks for the tip. I know what you mean about computer overload... nice to see you posting again. Everything looks lovely! I am signed up with a CSA that is mostly organic but not 100% I'm ok with that as long as they let us know. I just got some produce from them this past weekend. I must say I'm a little disappointed with the melon I got. I've been thinking about joining a CSA. I've been eatting out so much... perhaps this would encourage me to eat in more often. Chino's is not 100% organic, but that is only because they use a super mild spray exclusively on the corn. They rotate their crops, use 30% less water than most farms in california, and the need for sprays is not needed simply because each field is taken care of with so much attention and detail. I guess I would rather eat local than something organic that was grown in mexico. The term "Organic" is owned by the government. Bravo, Chino for focusing on what really matters, not giving more money to the despicable USDA. Oh 2018, What a Year you Were. Mmm! 4th of July BBQ! Eat, Drink + Be Merry. Food, Travel, Photography, Design + Music in Los Angeles and Other Parts of the Earth. Can This Breakfast Cereal Help Save The Planet? Season 28 of the Portland Farmers Market is here!